Genetically modified (GM) foods are usually just foods we consume that were modified to grow in a more robust, sustainable fashion. However, research is now looking at ways that GM foods can actually fight health conditions such as cholera. 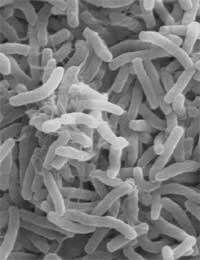 Cholera is an infectious disease caused by a microbe that travels from the host to water and then continues to infect people. It occurs more rampantly in Africa and India although still occurs around the world. It can also persist in water and food, making it readily available to infect more individuals. Although there are vaccines, these provide minimal protection that isn't sustained and they also have sensitive storage requirements. Now, research is paving the way for GM rice that functions similarly to a vaccine and can also remain viable for well over a year when kept at room temperature. So, how did they create this new strain of GM rice? Researchers began by putting the genetic material from the microbe that produces the cholera toxin in rice. It may seem unusual that genetic material was used from a harmful organism but this is the mechanism of how vaccines work. Researchers are selective in the genes used. They also sequenced the genome of the rice prior to inserting the microbe genes. Once the rice produced the toxin, researchers fed these grains to mice to analyse what happened next. The mice ended up being immune to the cholera causing bacteria, which was exactly as the scientists had hoped and anticipated would happen. The rice basically acted as a delivery and storage tool for delivering the vaccine. It's also a very simple and non-invasive system as well. Since it doesn't need needles or refrigeration, it has many advantages over traditional kinds of vaccines. It induces immunity against the bacteria and can thus prevent the hundreds of thousands of gastrointestinal problems suffered from people around the world. The disadvantage is that it would require regular 'boosts' to maintain effectiveness. The rice would also need stringent monitoring in terms of its growing conditions, which would ensure that the vaccine is properly produced. Another issue is that the grains themselves will have different levels of the vaccine, so ultimately the vaccine would need to be taken in some kind of an oral – likely pill – form. One of the key issues in GM food technology has been the problem of contamination. When GM foods are grown, plants in other farms can become contaminated as the wind scatters the pollen of the plants. However, rice plants don't typically scatter pollen quite as much as other GM crops. This means that they are less likely to contaminate other crops, allowing for much better control of their production and use. Researchers are also excited about the idea of creating GM vaccines for other health illnesses. They don't think that vaccines need to stop at cholera – instead, vaccines could be created for the flu or many other viruses. There is still significant work to be done in terms of the research but it's looking quite promising for creating GM foods to act as vaccines. Still, the debate on GM foods will continue and we do need to ensure that if this technology becomes widely available, it is safe and thoroughly tested. What Are the Cost Benefits of GM Foods?